We are pleased to formally announce a new validator for our undergraduate degree programme, Buckinghamshire New University. This new partnership marks the start of an exciting new era at the ESO as we introduce a revised curriculum for 2017 entry. 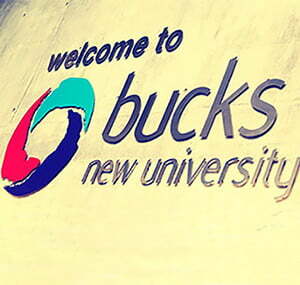 Bucks have commended the School for clear advancement of the programme, highlighting improved links between theory and practical elements; this ensures clinical integration of techniques and concepts are taught much earlier in the programme. Details of our enhanced programme can be found on our Programme Information page. Whilst celebrating this new relationship, we’d like to take this opportunity to thank our current validator, the University of Greenwich, for their continued support as existing students complete their studies with the ESO.